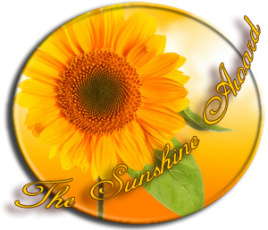 The Sunshine Award is nominated for bloggers who are positive, inspiring and who like spread a little sunshine with their blogs (which is my ENTIRE feed, because you all bring shared joy into my life). Well, this has been going on for more than 10 years now! We started together writing our collaborative project on Livejournal, which then spread to fangirling over Stargate and other shows and now Kpop on a new platform (WordPress). I think it’s really that I like to share things that I love with total strangers and it gives me an outlet for all my terrible jokes and fun observations. Kpop! I like to make GIFs of my favourite moments from shows and MVs and then talk about why I like them! 3. How would you, ideally, spend a day off? Well, I have a lot of days off now! So I spend them reading, watching KDramas and procrastinating on the internet. But my ideal days are always spent with my friends. We have SO MUCH FUN when we all get together that it breaks my heart a little whenever I have to get on a plane and go home. 4. What do you like doing to cheer yourself up when you are feeling down? 5. What are the top 5 songs you currently can’t get enough of? 6. You’ve won front tickets to any concert of your choice. Who are you going to go see? 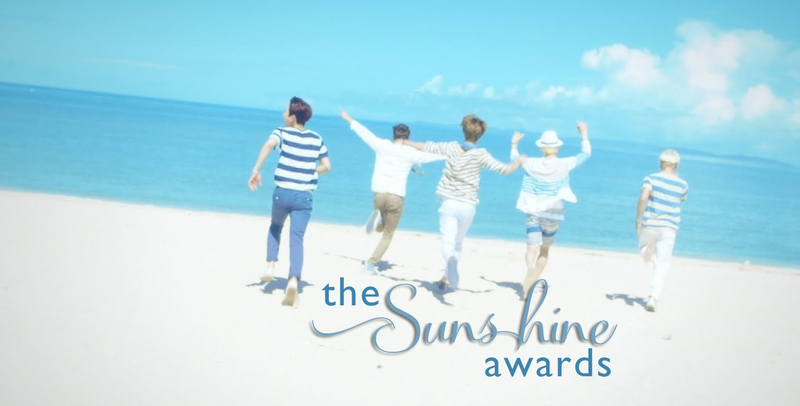 SHINee! And you and Emily are right there with me to sob uncontrollably (and totally be pulled up on stage to be serenaded like in my crazy dream because it’s TOTES going to happen) 2015 is going to be my year of SHINee concerts so be prepared! And now from lovely Sue! Probably my island-of-boys. This is our theoretical tropical island where we have kidnapped all of our fave idols and make them sleep in cute boypiles and do aegyo and performances all day long. But you mean real world right? I’ll be really boring and say Melbourne – because so many of my friends are there and living in the same city would be amazing! 2. What was the best concert, gig, performance, or festival you’ve ever been to? Robbie Williams ‘Swing When You’re Winning’ in Manchester was an AMAZING live performance (and one of the first really big stadium gigs that I ever went to way back in 2002) In recent times, that would be Infinite’s ‘One Great Step’ in Hiroshima because we were soooo close to the front and it was a magical experience to be up close and personal with one of my favourite kpop acts. 3. What is your go-to karaoke/noraebang song (or your hairbrush-mic in the mirror song if you’re shy)? LOL so embarrassing… *cough* Well… my songs are all pretty 80’s and 90’s because that’s my era! My go to song would probably be ‘Eternal Flame’ by the Bangles which I sing horribly off key and basically wing it through the high notes and ‘When the Lights Go Out’ by 5ive. Noreabang wise… well I enjoy butchering all the Hangul because I can’t quite read and keep up with the lyrics – my aim in life is to get through SHINee’s ‘Lucifer’ or ‘Why So Serious’. 4. Choose one: Would you want to be a rock star or a movie star? Movie Star because it seems like less work! Have you seen all these idol reality shows? They never sleep at all! VAMPIRES! 5. If money or time was not a concern, what one thing would you love to try or learn how to do? I would love to be able to play the piano – but like genius level good – by ear – you know where you listen to a song and can then play it back. I feel that this would be a great talent to whip out and impress people with. Plus I could play all the music that I also love listening to. 6. Who was your very first celebrity crush? 1. You’ve just met your ultimate bias in an elevator and have 60 seconds with them all to yourself. What is your reaction? 2. What is your favourite non-title track from any of your favourite groups and why should we listen to it? 3. If you could re-write the end to a drama or MV that disappointed you, what would you change? 4. When was your last moment of feeling pure happiness? 5. What were the last 5 songs you listened to? 6. What are 3 essential things you always pack in your bag when you go out? Anyone who wants to answer! !